Nanjing is a wonderful holiday destination in China. With a population of over 7 million residents, it is one of the nation’s most historic cities. 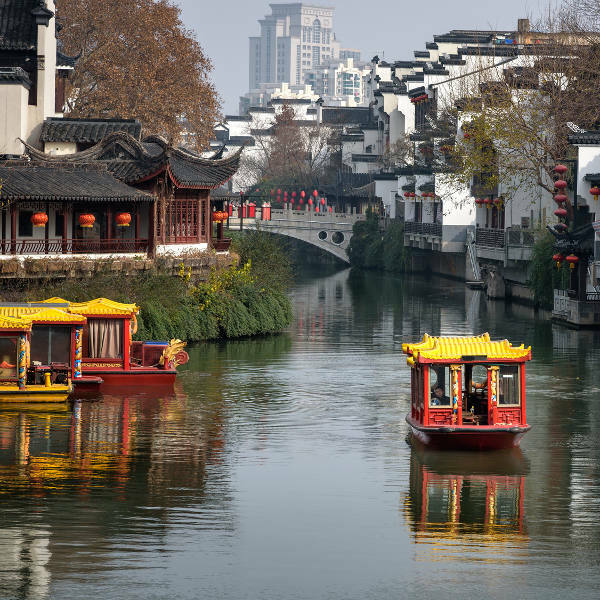 Nanjing offers you the chance to discover its many gorgeous settings and popular sights. 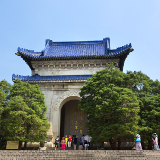 The top attractions of this city include Sun Yat-sen Mausoleum, Purple Mountain and Xuanwu Lake. Get ready to experience this destination, because cheap flights to Nanjing are now available for a limited time! Nanjing is served by the Nanjing Lukou International Airport (NKG), which is a 40-minute drive from the city centre. Like most Asian cities, Nanjing blends together the past and the present, placing modern skyscrapers and serene temples side by side. There are many beautiful places in and around Nanjing, such as Purple Mountain, the Qinhuai River and the Linggu Temple. 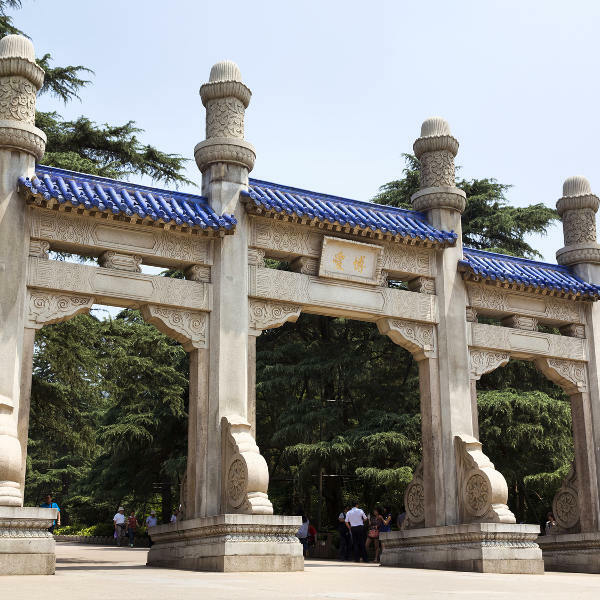 Nanjing’s rich history will have you going on tours for days, exploring magnificent monuments and structures from hundreds of years ago. The best times to go to Nanjing fall between the main Chinese holidays, such as the Chinese Spring Festival (usually in late January or early February), International Labour Day (1-3 May) and National Day (1-7 October). These holidays are when Nanjing will be the most crowded. The Spring Festival takes place just before the spring season, which starts in March. During this season, you will experience warm and humid weather with a little rain. Accommodation availability is highest during the rainy season (June – July); however, July is the hottest month, with an average peak temperature of around 32°C. Besides bringing umbrellas, make sure to pack in light clothing, hats, sunglasses and sunscreen, and drink plenty of water and consume more fruits and vegetables. Of course, no matter when you many choose to visit, you will always be captivated by this destination’s beauty. Nanjing is a scenic and alluring holiday destination, situated on the southern bank of the Yangtze River in China. 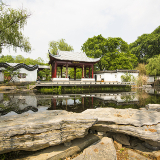 The capital of Jiangsu Province, this city offers you a blend of modern and historic attractions. The history of Nanjing dates back six dynasties. 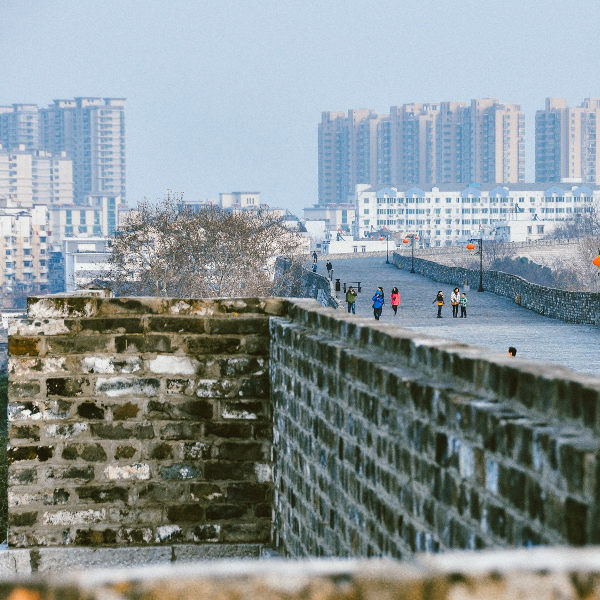 One remnant of this is the city wall, which was built around 1368, during the Ming dynasty. 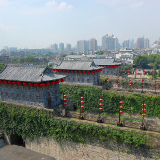 The best-preserved part of it is the Gate of China, a magnificent defensive complex on the city wall. Other attractions include the Nanjing Massacre Memorial, the majestic Purple Mountain and the beautiful Qinhuai River, which is surrounded by various tourist attractions. One worth mentioning is the Confucius Temple, which is actually the main shopping area in Nanjing, and a shopper’s paradise. Compare several airlines, and book your cheap flights to Nanjing online at Travelstart! Visit your doctor four to six weeks before you depart for China to get all the routine vaccinations. Some travellers may need vaccinations against hepatitis A and B, typhoid, Japanese encephalitis, rabies and malaria. Nanjing is one of the safest cities in China. You should stay cautious, however. Beware of pickpocketing at the Fuzimiao tourist attraction, as well as on crowded buses, the subway and around the main transport centres. You should also watch out for anyone attempting to sell counterfeit goods. A good number of reputable hotels are scattered throughout Nanjing. Some feature pools, fitness centres, restaurants, pubs, free Wi-Fi and breakfast. In terms of cost, you’re looking at a price range of between ¥ 400 and ¥ 1 500. If your plan is to stay for more than a few days, it would be worth your money to get a Jinlingtong (IC-tong) travel card. You can buy one at any metro station, most bus termini, or from any branch of the Huaxia Bank (find the information window that displays the letters ‘IC’. The card costs ¥ 73.50, and contains around ¥ 26 refundable deposit and around ¥ 50 credit. This card can be topped up at any of the locations mentioned above. You can use this card on the metro, all city buses (not suburban buses), cross-river ferries, taxis (some drivers may try to refuse) and at some Suguo convenience stores. The cheapest option for transport is the metro, where you can enjoy discounts as low as under ¥ 2, while the most expensive option is the taxis, with most trips costing under ¥ 26.